Our Company was established in 2007 to support exclusively Magellan Triton and the New Explorist 510 610 and 710 GPS units. History of These Units: These are special Magellan Explorist GPS units. 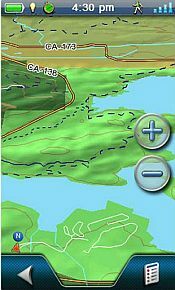 The units have added software to include North American (USA and CANADA) City (auto routing) and Summit Maps, USA ATV 4X4 TRAIL MAPS, USA/CANADA SNOWMOBILE TRAIL MAPS and the Fishing Hot Spots (FHS) PRO Series with over 4000 Lakes in the USA Contiguous States. Special Note the units are from the latest production series. All with the new "anti-glare" digital screens, new digital cameras and superior video camera software. For a Magellan User these are sought after. The units outer case may have some blemishes. Please do not miss this opportunity to purchase one of these "best of the best" series. 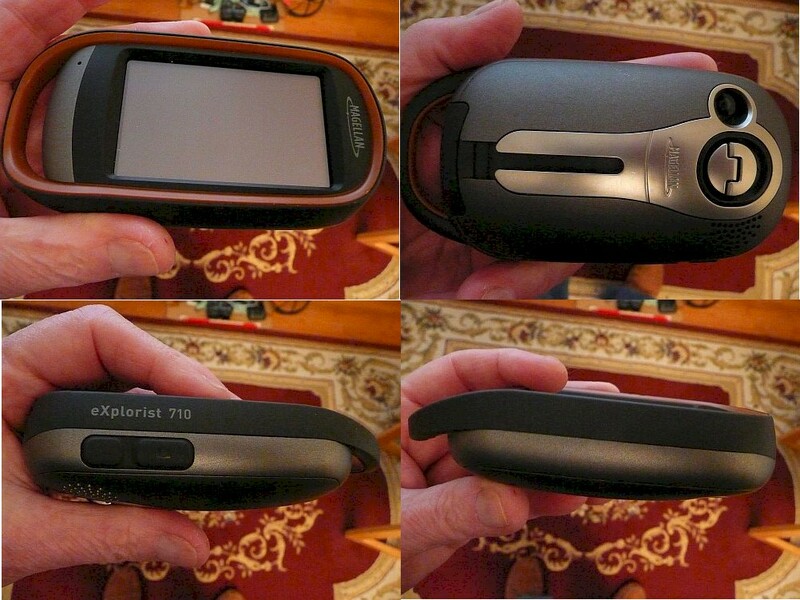 A new, unused SPECIAL MAGELLAN GPS UNITS missing the original packaging. The units were just released from China. These Unit Are Sent to Us Without Retail Boxes. Unit ships With USB Data Cable and Batteries. Magellan Quick Start Guide is Supplied Electronically AND OVER $290.00 OF SPECIALTY SOFTWARE. WE RARELY RECEIVE UNITS WITH ALL THESE MAPS ON IT. THE EXTRA MAPS ALONE ARE WORTH APPROXIMATELY $290.00. Unit has Installed the Magellan City and Summit Maps for the Entire North America (USA AND CANADA). Also included are the Fishing Hot Spots for over 4000 Lakes Across the USA and the USA ATV maps, the USA and Canada Snowmobile maps. MAGELLAN NORMALLY SUPPLIES THE 710 UNIT WITH ONLY A WORLD EDITION, SUMMIT USA and CITY USA MAPS. THEY DO NOT COME WITH THE FULL SET OF TOPO MAPS OR CAR NAVIGATION MAPS FOR NORTH AMERICA (USA AND CANADA). 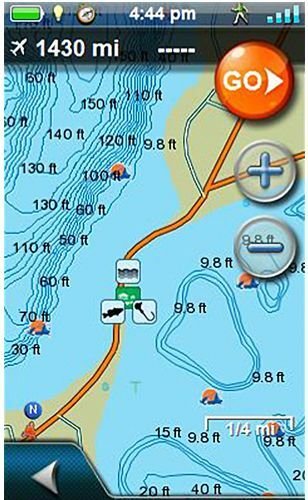 THE SPECIAL UNIT COMES WITH WITH THE MAGELLAN USA/CANADA CITY AND SUMMIT MAPS FOR NORTH AMERICA, THE COMPLETE FISHING HOT SPOT ANGLER SOFTWARE WITH 4000 LAKES AND THE USA ATV AND USA/CANADA SNOWMOBILE MAPS. THE EXTRA MAPS ALONE ARE WORTH APPROXIMATELY $290.00. IT IS FULL FEATURED FOR FISHING, ATV, SNOWMOBILITY, HIKING, GEOCACHING, AND MARINE. ADDED MAGELLAN'S CITY MAPS FOR CAR NAVIGATION TURN-BY-TURN MAPS GIVE YOU AUTOMATIC VEHICLE DIRECTIONS FROM ONE ADDRESS TO ANOTHER. NOTE: MANY GEOCACHERS' HAVE FOUND THAT THE EASIEST WAY TO GET TO AN OFF-THE-ROAD CACHE IS BY THE USE OF PLOTTED TRAILS. THE PROCESS IS SIMPLE. YOU FIRST ADD THE GEOCACHE COORDINATES TO VANTAGE POINT (VP). 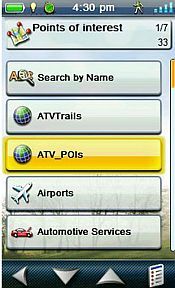 PRIOR TO THIS WE INSTRUCT YOU ON HOW TO ALSO INSTALL THE USA ATV AND USA/CANADA SNOWMOBILE OVERLAY MAPS TO VP. 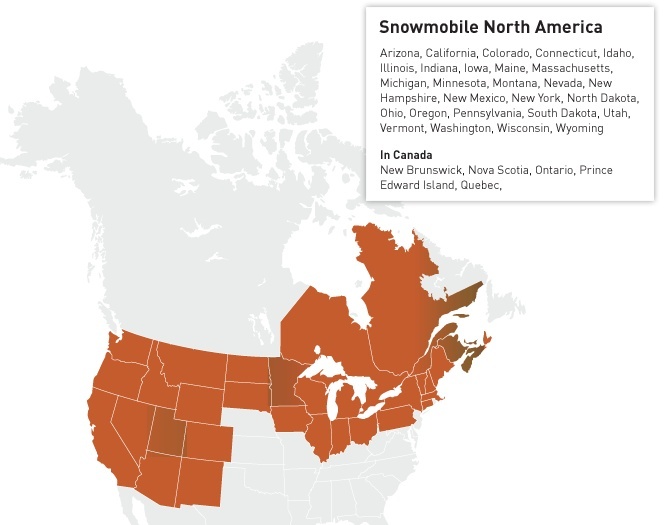 SNOWMOBILE SHOWING MAP IN BOTH USA AND CANADA WHERE 4X4 TRAILS ARE RECORDED. 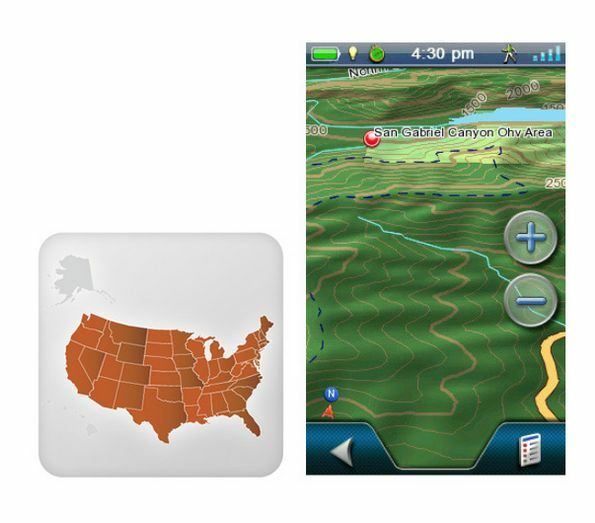 US Trailmaps contains over 25,000 miles of ATV routes and trails for navigation with your Magellan eXplorist GPS . 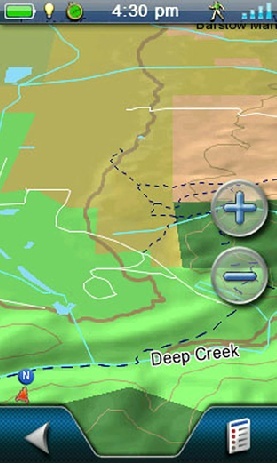 The Trailmaps include hundreds of points of interest relevant to ATV trail riding. 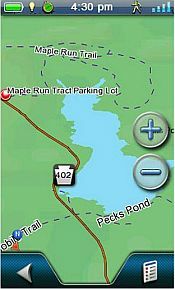 Details such as the trail name or number are displayed and searchable. Map trails for the 48 contiguous US states. Do you enjoy snowmobiling? US Trailmaps snowmobile trail maps can help guide you to and through wherever your destination. See a list of Snowmobile Regions Covered by clicking here. 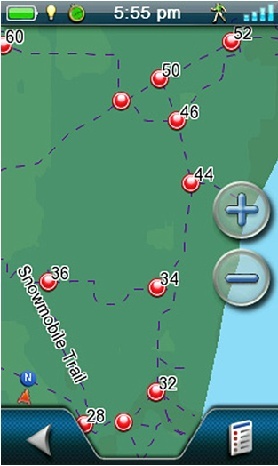 US Trailmaps contains over 195,000 miles of snowmobile trails for navigation with your Magellan eXplorist GPS. The trail maps include thousands of numbered intersections for reference with local maps along with added details such as trail name and search capability. 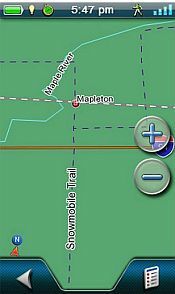 See the trail name, find intersections, route to and from your destination via interconnected trails. 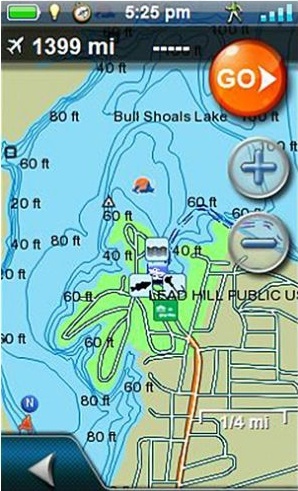 Waterproof handheld GPS receiver with core outdoor navigation features, expandable mapping, and paperless geocaching bundled with America's preferred fishing maps from Fishing Hot Spots. Accurate and detailed fishing information for over 4000 US lakes and waterways provides anglers with tactics and locations that catch fish. Whether you are fishing a lake for the first time, or have been on it your whole life, Fishing Hot Spots will make your time on the water more rewarding. 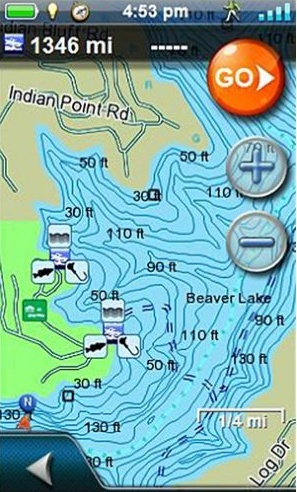 Fishing Hot Spots� maps are complete with extensively researched Fishing Points of Interest, Lake Profiles and lake specific Fishing Tips & Techniques. Summit Series is either USA and Canada including routable topographic map and turn by turn street navigation. Rugged and waterproof (IPX-7 standards), the eXplorist 710 combines high sensitivity GPS reception with easy to read mapping and accurate navigation. Find your way using more than 30 navigational data fields. Create Waypoints, record tracks, and route from point to point. The integrated 3.2 mega-pixel camera, microphone, and speaker enables you to record geo-referenced images and voice notes. Relive and share your outdoor adventures. The eXplorist 710 combines the user friendliness of a touch screen with the reliability of two customizable hard buttons and the one touch favorites menu system giving you total control. Powered by two AA batteries (a pair of AA batteries are supplied with the unit), the eXplorist 710 will last up to 16 hours under normal conditions. The eXplorist 710 is the ultimate navigation companion. A complete package from home to summit and everything in between. Combines the user friendliness of a touch screen with the reliability of two customizable hard buttons. Program the hard buttons to your two favorite or most used functions. Magellan's award winning OneTouch favorites menu provides instant access to bookmarks of favorite places or actions. 12 customizable icons to create personalized searches, save unique locations, or assign quick access to your favorite screens, giving you total control. Summit Series United States is a high resolution outdoor recreational map that includes a detailed network of roads and trails, more than seven classifications of recreational areas, details locations of trails, lakes, rivers, streams, and millions of outdoor-centric POIs. This detailed topographic map is based on 1:24,000 scale source data provided by Intermap Technologies, makers of AccuTerra and NEXTmap. AccuTerra is a collection of the most accurate and most detailed off-road GPS mapping data available in the industry. Contour lines displayed in the map are generated from NEXTmap source data, which is the only consistently accurate and wide-area elevation dataset of the continental United States. Summit Series United States contains more than seven classifications of recreational areas, including National Parks, National Forests, State Parks, and Bureau of Land Management (BLM) areas; detailed locations of trails and trailheads; accurate waterways, including lakes, rivers, and streams; and millions of outdoor-centric POIs. Locate the nearest trailhead. Search nearest campgrounds, fuel stations, or potable water source. Navigate safely in 3D perspective view while knowing the boundaries between private and public lands. 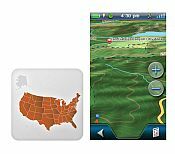 City Series North America is a complete vehicle navigation map providing turn-by-turn navigation along with spoken directions for the United States and Canada. Navigate from doorstep to summit with your eXplorist GPS receiver. City Series North America provides a complete and up-to-date road network, including freeways, highways, major roads, and local streets based on a NAVTEQ source data set. Search for addresses by city or postal code. Access previous destinations list. Search for the nearest gas station, hotel, or restaurant by accessing more than 6 million points of interest. View the descriptions of POIs, including Name, Category, City, State, Address, and Phone Number where applicable. Have You Joined the ExploristForum.com? The forum is owned and operated by Jungle Ghost Enterprises for its customers. If you haven't joined please do. The Title of the Forum is "The New Explorist X10's Uncovered". Here you will find over 1300+ members, who are also Triton GPS users, who can assist you with topics ranging from the best X10 to purchase, problems "Uncovered" with the X10 units, glitches and bugs and how to fix them and more. Trademarks: Magellan, Triton, eXplorist, Summit, City Series are Registered Trademarks or Sales Marks of MiTAC international cooperation and/or its affiliates. � 2017 - 2018 Gelb Organization, LLC All Rights Reserved.